Resident Evil 7 Cloud Edition for Switch Releases This Week | Nerd Much? 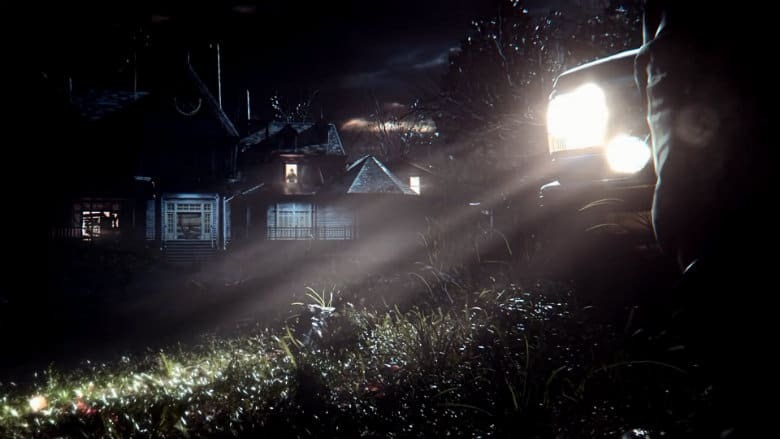 Capcom has announced that Resident Evil 7 is indeed headed to the Nintendo Switch. But with a pretty drastic modification. Announced for Japan only as of now, Resident Evil 7 Cloud Edition is headed to Switch this Thursday, May 24th. The Switch isn’t region locked, so by setting up a Japanese My Nintendo Account, western audiences can download the title too. The game isn’t coming via a tradition physical/digital release though. Instead, Capcom’s model is to have players purchase a subscription and then stream the game over the internet in a style akin to PlayStation Now. Capcom will also hold players’ save files on their servers as well. However, there’s no guarantee that the company will keep them following the termination of your subscription. Capcom is allowing players to experience the first 15 minutes of the game for free. Should demo go smoothly, you can then purchase a 180 day pass for 2,000 yen, or roughly $18. Resident Evil 7 Cloud Version comes with the complete game as well as all of the title’s post-launch DLC. There could be a variety of reasons why Capcom chose to go the cloud route as opposed to a full cartridge or digital release. One of these reasons could be the size limitations on Nintendo’s software medium. Switch cartridges currently max out at 32 GBs. Nintendo plans to offer 64 GB cards to publishers down the line, but that’s not happening until at least 2019 at this point. And these cartridges aren’t cheap to produce. So hosting the game on servers and having consumers stream their plays could prove an incredible cost saving maneuver from Capcom. Some companies like 2K instead opted to release a portion of their games onto the 32 GB cartridges and force users to download the remaining portion onto the Switch’s internal storage. 2K utilized this method for NBA 2K18. But it’s cumbersome, chews up a good portion of your internal storage, and isn’t viable for those without high-speed internet connections. Resident Evil 7 Cloud Version even seems to buck what one of the main features of the Switch is – playing on the go. Unless you have a fantastic hotspot, you aren’t going to be able to play Capcom’s latest horror adventure on the go. It’s also entirely possible that Capcom is using Resident Evil 7 Cloud Edition as an experimental release to test out the streaming waters. Should the financial results be fruitful, we could see more subscription style releases further down the line. The game launches on Thursday for Switch. We’ll have to wait until then to see whether or not Capcom is on to something.